Knitty Gritty | Sew Giddy!! Look at my little piece of work! Although I just started I can already see that, like crocheting, knitting is relaxing because there’s a repetitive rhythm to it once you get going. 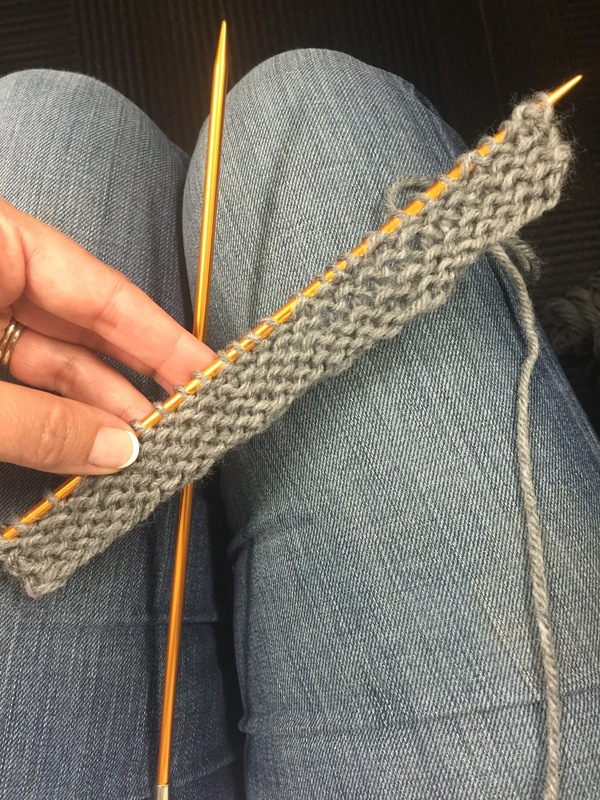 I also love the portability factor of knitting and crocheting which makes these hobbies a great fit for keeping fidgety hands busy while riding the train, carpooling, or watching TV. In general, if there is a lot of sitting still and down time, chances are it’s a fine place to knit! Recently at my son’s baseball game I saw two moms huddled together under the shade of a tree, knitting! One was giving instructions and the other did the work. It was fun listening to the student’s excitement and hear her satisfaction when she saw what she’d created! The teacher sounded equally thrilled to share her talent with her friend! 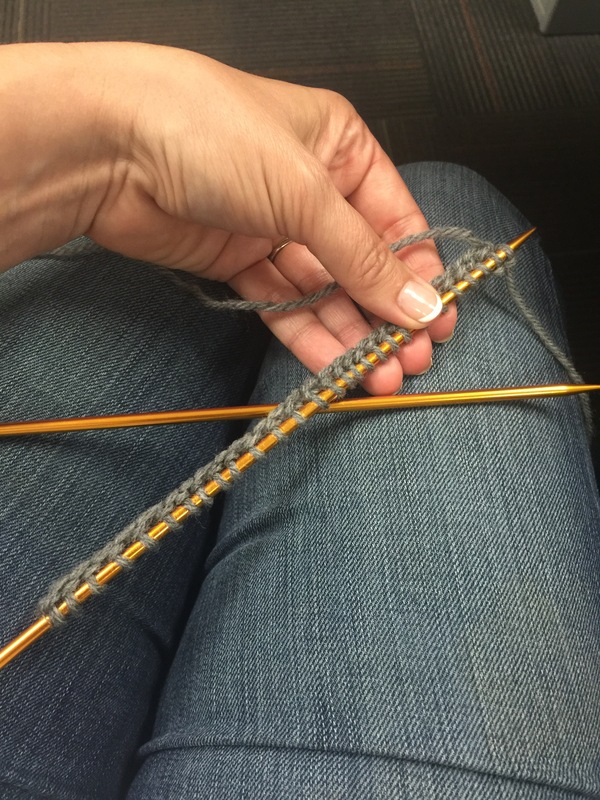 Despite what you may think, talent is not a requirement to knit (or crochet for that matter), you simply need to have an interest in learning. It helps to remember that just because something looks complicated, doesn’t mean it is. As with most skills, all it takes is an interest in learning, following instructions, and some practice – and before you know it, you’ve learned a new hobby! So be encouraged my friends and try something new! By the way, since starting this blog I’ve found it doesn’t hurt to mention to your friends/family that you’re interested in learning a new skill, such as knitting, because you may just find your next teacher is your affable aunt, your fabulous friend, or your nice neighbor who have been knitting for years and never talked about it! So don’t keep it a secret! You may be fortunate enough to get free, expert, hands-on training and can forego the online videos all together! It’s time to get down to the Knitty Gritty and make something! And Just for Fun…click here for Random Facts about Knitting!